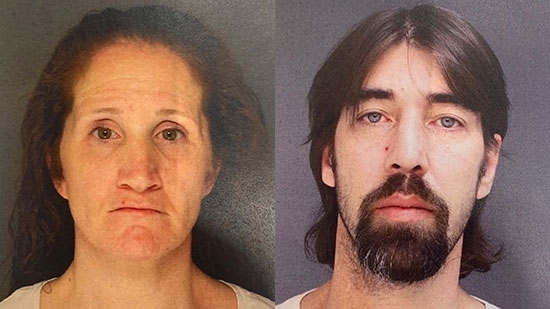 The parents of a 16-month-old toddler who overdosed and almost died after ingesting heroin have surrendered to the Upper Darby Police Department. 35-year-old Nora Boyle and 42-year-old Greg Searl were charged with endangering the welfare of a child and related offenses. Boyle and Searl have admitted to being drug users. Searl came home on Monday evening to find Boyle passed out on the bed and the child unresponsive. The baby was given a dose of Narcan at the hospital to reverse the effects of the opiates. Superintendent Michael Chitwood says the boy ingested heroin and possibly fentanyl after chewing on empty baggies containing drug residue. He credited Narcan with saving his life. A search of the home on the 700 block of West Chester Pike uncovered 12 empty bags. A Chester County man has been arrested after being accused of feeding his wife's child crystal meth. 43-year-old Harold Nuse of Honey Brook is charged with child endangerment, drug delivery, and other offenses. Back on Christmas Eve, Harold and his wife, Brandy, were arrested for leaving three young boys unattended in a running car outside of Walmart with a gun in the center console. Police found the children, ages 11, 8, and 6, sleeping in the back of a 2000 Chevrolet Silverado around 4 a.m. Harold and Brandy were inside shopping. They were arrested and charged with child endangerment. 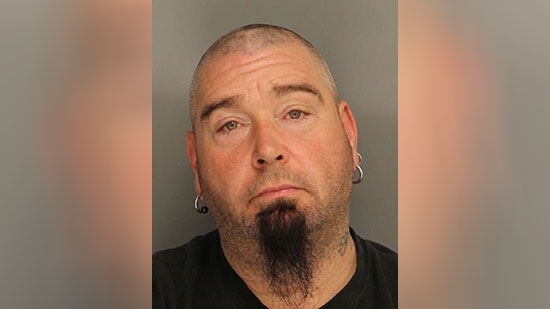 During the subsequent investigation by the Chester County Detectives Child Abuse Unit, one of the boys told investigators that he had been forced to eat crystal methamphetamine on several occasions. Harold is not the boy's biological father. They have been placed safely with family. A boy who fell through the ice in a Trenton park over the weekend has died. 14-year-old Zayquan Wheeler was with friends at Cadwalader Park on Sunday afternoon, 2/3. Around 12:30 p.m., he chased after a basketball that had rolled onto the ice of the Delaware and Raritan Canal and fell through. He was pulled from the water by rescue and taken to a local hospital before being flown to Children's Hospital of Philadelphia. Wheeler died Monday afternoon. 43-year-old Harold Nuse of Honey Brook is charged with child endangerment, drug delivery, and other offenses.